Wine tasting in Paris is a must! The world-renowned French wines are right at your fingertips for tasting at wine bars in Paris. Read on to become an amateur sommelier and discover the best wine bars in Paris. At Ô Chateau you will have one of the best wine tasting classes in Paris presented in English by master sommeliers. Here you can learn about terroir, historic wine cellars and even wine and cheese pairings. In the warmer months, you can indulge in a Grands Crus tasting on the Seine! 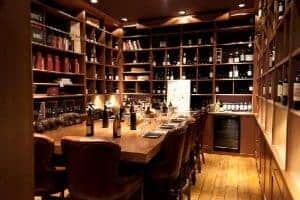 For a wine tasting that’s full of history, visit Les Caves du Louvre which were established by King Louis XV’s sommelier in the 18th century. Download their app, and explore the cellars before indulging in a tasting at the end of your visit! 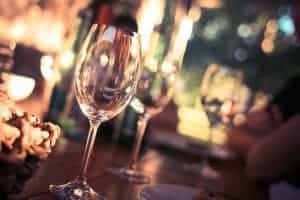 A more unique wine tasting can be booked through our partner Vizeat, a company that brings you to Parisians’ home for an authentic wine tasting! Besides its Parisian authenticity, it is also a hit because its a fraction of the cost of other tastings. 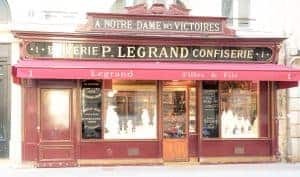 PARIS, FRANCE, March 25, , 2017: The traditional French vintage shop and wine cave LeGrand has been , for over a hundreed years , the cornerstone for wine lovers in Paris. Once you’ve had a proper wine tasting and decided upon which French wines are your favorites… be sure to shop at these excellent wine shops before heading back to your homeland! For a section of over 1,000 wines exclusively from the Bordeaux region’s terroir, shop at La Bordeauxthèque and let the sommeliers help you purchase the perfect Bordeaux for you. En Vrac or In Bulk, is the term and name of the wine shop where you can choose from many different natural ones, and even sample them right in the shop! If you’re truly taken by one of the wines and can’t wait to drink it back at home, get it in a lemonade inspired bottle and have yourself a picnic somewhere in Paris! Bibovino although hidden amongst the many amazing foodie spots in the Marché des Enfants Rouges, cannot be missed due to its bright purple and flashy wine boxes. All the wine in their boxes are high-quality and from smaller scaled producers, and in addition to their purple box packaging, can also be purchased by class or even carafe. Last but not least, Nysa is the simplest and easiest shop where you can purchase wine in Paris. Nysa has many locations throughout the city and the prices are very attractive. For a walk-in tasting and wine experience, here’s some of INSIDR’s favorite wine bars in Paris! Freddy’s a super fun spot in the 6th arrondissement to try many different French wines. The staff is also extremely helpful, so not to worry if you are not a wine connoisseur! Juveniles in the 1st arrondissement serves both impressive French traditional dishes and equally impressive French wines. For a classic French wine bar experience, this is where to go. For a different wine bar experience, Wine by One is the place to try many many different wines from wine machines that you’ll pour yourself! When you arrive, load up a Wine by One card with money and then feel free to taste as many different wines and drink as many full glasses of wine as you wish! Wine by One also has a “mystery bottle,” so if you’re feeling daring be sure to try it! 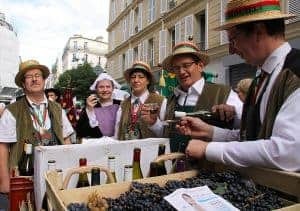 Beginning of October: For the first week in October every year, Montmartre celebrates its wine harvest that has dated back since 390 B.C! The celebration includes a parade, wine tasting booths, food stalls and dancing… lots and lots of dancing.